A Day Late and A Dollar Short: Andretti Indoor Karting to Support Boys and Girls Clubs! Andretti Indoor Karting to Support Boys and Girls Clubs! Calling all karting fans! Andretti Indoor Karting & Games gives thrill seekers one more great reason to be a VIP Member in September. For every VIP Membership sold this month, Atlanta’s premium indoor karting and entertainment destination will donate $2 to Boys & Girls Clubs of Metro Atlanta, a local nonprofit dedicated to helping kids and teens succeed in school, live healthy, and become leaders. Patrons can give back by purchasing a VIP Membership for $10, which includes discounts on karting and attractions, special members’ only entertainment packages, and coupons for the Andretti Grill. Proceeds of the membership drive will be presented to Boys & Girls Clubs’ representatives during the new Marietta location’s ribbon cutting ceremony in October. Go to www.andrettikarting.com for more information on VIP Membership benefits; visit Roswell location to purchase VIP Memberships. Andretti Indoor Karting and Games is headquartered in Roswell, GA., and was established in 2001. Their locations feature high-speed super-karts, European-style tracks, a state of the art arcade, an elevated obstacle course, XD motion theater and racing simulators. Each location is also home to The Andretti Grill, a full bar/ restaurant capable of serving more than 10,000-square feet of event and meeting space. For more information, please visit www.andrettikarting.com. Since 1999 the Andretti facilities have entertained more than 13 million guests. For more information, please visit Andretti Indoor Karting & Games at www.andrettikarting.com. 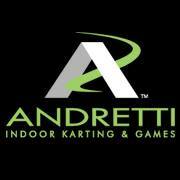 Check out the Andretti Indoor Karting & Games on Facebook and Twitter. Boys & Girls Clubs of Metro Atlanta’s mission is to save and change the lives of children and teens, especially those who need us most, by providing a safe, positive and engaging environment and programs that prepare and inspire them to achieve Great Futures. Through 26 Clubs in 10 metro counties, trained and professional staff serve more than 3,500 youth (ages 6-18) daily through programs that foster academic success, healthy lifestyles and character and leadership development. BGCMA also oversees Camp Kiwanis, a 160-acre outdoor residence camp. While the cost to effectively serve those who need us most is more than $5,000 per member, BGCMA asks families to pay only a $50 annual membership fee and no child is turned away due to inability to pay. For more information, please visit www.bgcma.org.